If you’ve decided to make your nutrition a priority then you are likely seeking out some healthy alternative foods to add to your diet. There are many foods available to you that’ll get you your daily requirements in vitamins and nutrients, but you can only eat so much in a day! To help you meet your daily nutritional requirements, without having to eat everything in site, we’ve done the research for you and have identified 7 healthy foods that you can add to your diet as great alternatives to more commonly consumed foods. Add these great foods to your diet and you’ll be meeting your nutritional needs, no problem! We humans have been consuming animals for sustenance for millions of years now. Recently though, organ meats such as liver have fallen out of favor, and we are now consuming mainly muscle meat. When you look at muscle meat, pound for pound, it just doesn’t stack up when compared to organs. If you’re looking to make as big an impact as possible to your diet then consider consuming more liver as an alternative to muscle meats such as sirloin steaks and pork chops. The liver is an amazing organ that serves many functions in an animal’s bodies, with one being that it stores many nutrients for later use in your body. Due to this, consuming liver has the ability to provide you with many nutrients, which will go a long way towards helping you meet your daily intake requirements. Garlic is a versatile ingredient that is not only able to add great taste to many dishes, but also a whole slew of vitamins and minerals. Some of the vitamins garlic is able to provide you include B1, B6, C, and also potassium, calcium, manganese, selenium, and copper! Aside from these important vitamins, garlic is also high in a compound called allicin, which may help lower your cholesterol levels and also your blood pressure! Not only does garlic provide you with many beneficial compounds, it also has cancer-fighting abilities! Research done on garlic has shown that in those that consume garlic, they are at a decreased risk of developing cancer of the stomach or colon, just to name a few. Sea food in general is incredibly nutrient dense, when compared to most land-based animal proteins, but shellfish stands out as being the most beneficial of all! Some healthy examples of shellfish include oysters, clams, mussels, and scallops. For example, clams are the single best source of vitamin B12 available to you, with a single 100 gram serving offering you nearly 16 times the required daily amount! Another great shellfish to add to your diet is oysters. In 1 serving of oysters, you’ll net yourself 600% of your daily requirement of zinc, 200% of your requirement of copper, and also good amounts of vitamin D, B12, and various other nutrients. A real bang for your buck additions to your diet is the humble potato. Not only are potatoes incredibly cheap, they are loaded with magnesium, potassium, copper, iron, and manganese. Potatoes also provide you with significant amounts of vitamin C and most B vitamins as well. Potatoes contain at least a small amount on nearly every vitamin and nutrient that your body needs, which is why you’ll hear of people subsisting on a diet of potatoes alone! If you’re looking to add more leafy green vegetables to your diet, consider kale. Kale is one of the best leafy greens available, and has large amounts of minerals, vitamins, antioxidants, fiber and a plethora of other bioactive compounds. In just one 100 gram serving kale, you’re body will gain 200% of the vitamin C it needs in a day, 300% of vitamin A, 1,000% of vitamin K, and many other vitamins and minerals! Not only is kale loaded with these vitamins, it is also a great source of satiating fiber and protein. If you’re not a fan of the taste of kale, consider seeking out on the many green juice supplements available, to supplement your intake. Seaweed is commonly found as an ingredient in many sushi dishes, where you’ll often find it used as a wrapping for rice and fish. You’ll be surprised to learn that seaweed is actually quite a bit more nutrient-packed and healthy than many of the land vegetables we commonly consume as a part of our diet! Aside from just providing your body with vitamins and minerals, seaweed is also a great source of other compounds including carotenoids and phycocyanins. These beneficial antioxidants have great anti-inflammatory abilities and are something you should not miss out on! Seaweed is also a great source of iodine, a mineral that is often difficult to find in nature. Last but not least, is salmon! Salmon is one of the fattier fishes available and contains a large amount of omega-3 fatty acids. In fact, salmon is probably one of the best animal proteins available to you, when you consider its leanness and fat content! The omega-3s found in salmon are vital to your body and ensure peak function of your bodies various processes. They are also known to help improve overall wellbeing and may reduce your risk of developing many serious health conditions and diseases. It doesn’t stop there though; Salmon is also loaded with other nutrients including potassium, magnesium, B vitamins, and selenium. It is recommended that you try to consume fatty fish such as salmon at least once a week, but twice is even better! 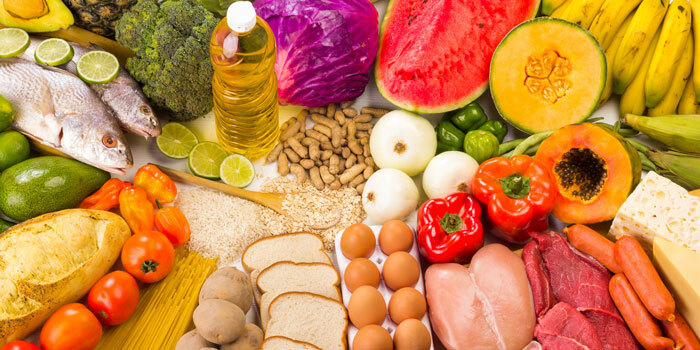 If you’re looking for small ways in which to make a large impact on your diet, then consider switching out some of your frequent food choices for some of the above nutrient-dense foods. By incorporating more healthy, satiating, and beneficial foods such as these into your diet, you’ll soon be feeling better than ever!